Lesson learned: “It’s difficult to plan perfect timing when you’re selling and buying and renovating,” says Carolina Chia, a Realtor® at New York’s TripleMint Real Estate. But you can mitigate this risk by including a contingency in your contract saying that your new digs must be ready before you move out of your old. Or else, arrange to have other interim living arrangements in place. “And there’s always the option of leasing back from the buyer until the renovations are finished,” says Chia. When Brad Chandler needed to move out of state to care for a sick relative, he priced his Chesapeake Beach, MD, home to sell, and quickly went to contract. But when the buyer got a land survey—which Chandler had failed to do—it revealed that his driveway ran through an adjacent property. The day before closing, the buyers’ lender wouldn’t accept the property. “Now I have to fix that issue, and the house will be worth less in the long run,” says Chandler. Lesson learned: Always get a survey of the property prior to selling, especially when you aren’t in a cookie-cutter neighborhood or the house is in an older subdivision, advises Chandler. Wait, I want my home back! 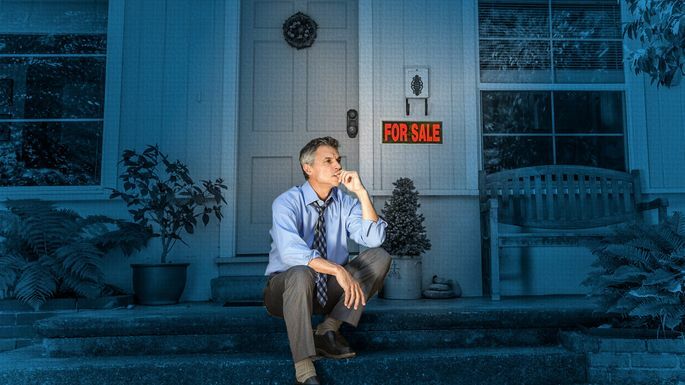 Lesson learned: Sellers are often blindsided by the heartbreak they feel when selling a home. Still, if the time is right to sell, try to focus on the benefits—like the money you’ll save and the better neighborhood you’re moving to, says Tracey Hampson of Century 21 Troop Real Estate in Santa Clarita, CA. Also keep in mind that moving doesn’t erase the fond memories you have—and that your new place will “feel like home” eventually. Just give it time.